Speaker 1: It is time now to answer some medical questions and joining us to answer them all is News Channel 5’s medical specialist, Dr. David Soria. He is the chief of emergency medicine at Wellington Regional Medical Center, when he’s not stopping by our studio. Thanks for coming in. Speaker 2: You’re very welcome, good to see you. Speaker 1: Good to see you, we’ll get right to our first question for you today, it’s something that happens an awful lot. This viewer wants to know, when stretching, there’s this popping sound in my knee. It doesn’t hurt but it sounds bad. Is there anything wrong? Speaker 2: Yeah, it is very common and one thing we know for sure and that is if it pops and there is no pain, there is really rarely anything to worry about. It’s kind of like when you crack your knuckles, all it is is the movement of sonovial fluid, or it could even be the snapping of a tendon against a flexed joint, but it’s rarely indicative of anything wrong or an injury. Unlike a popping with pain, which is typically an inflammation, could be something torn ligament, tendon, even some of the cartilage. No pain, nothing to worry about. If you’re having pain, go see your doctor and get it evaluated. Speaker 1: Got it, alright, easy enough. Our next question for you today, somewhat related, this viewer would like to know what’s the best time of the day to exercise, in the morning before work or in the evening after work? Speaker 2: Yeah, so interestingly, they actually did some research on this and they showed that your body temperature, your energy level, and your hormones were highest in about a 2 hour window at 6pm. But ironically, when people that worked out regularly were asked when they like to work out, they always or commonly said in the morning. So where’s the disconnect? Well, the pros of working out in the morning is you get it out of the way, you have more time and it gives you a little boost of energy for the morning. However, your body temperature is lowest, your muscles are stiff, you don’t get a great workout, unlike at 6pm. However, in the late afternoon you get a better workout but you many times miss the workout because you got a lot of distractions. I think the take home message is, work out when you can consistently get one in every day. Don’t worry about when it’s best for your body, it’s better to work out in an off hour than not work out at all. Speaker 1: Seemed like some pros and cons to each. Speaker 1: Our final question for you today, if you’re taking a multi vitamin should you also take supplements for Vitamin A, Vitamin C, and other vitamins? Can too much be bad for you? Speaker 2: The answer to that as far as can too much be bad is absolutely yes, but it’s very difficult to take a toxic dose or overdose, because if you have healthy kidneys, if you have a healthy liver, you’re going to excrete or eliminate the excess. Not to mention, on most over the counter multi vitamins, the recommended daily allowance is well below the toxic levels. However, today with some of the newer multi vitamins some of them have mega doses of vitamin A, D, C, if you take more than one you can absolutely get into toxic doses. Plus your body tends to start to accumulate the vitamins, so my recommendation is, know what you’re taking, take only one, typically today’s multi vitamin has enough, you only need to take one. If you’re going to take more than one, know what’s in the bottle, know what’s in the pill and don’t redundantly take the same vitamin, and you’ll stay out of trouble. Speaker 1: It’s also right on the label, you’re taking 5000% or 100% of your daily allowance. Speaker 2: Absolutely, it’s all right there it has to be by law. Read the label, know what you’re taking. Speaker 1: Got it, makes sense. 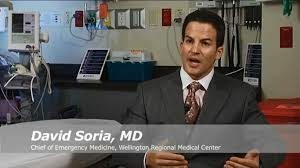 Speaker 1: Thank you Dr. Soria.